WHITMAN — A committee is being formed by Town Moderator Michael Seele to study the pros and cons of electronic voting at Town Meeting — an issue affecting bylaws that will ultimately be put before Town Meeting to accept or reject. Seele and Town Clerk Dawn Varley are the first two members of the study committee, being asked to update selectmen on its progress in March. Members from both sides of the issue will be placed on that panel. Small, remote control-type devices, like the one showed above, are being studied as a voting toll. They have a numeric keypad on which a yes or no vote would be cast by punching number one or two. They can be leased or purchased with the town able to borrow extra from other towns if a huge Town Meeting turnout is seen. The Board of Selectmen on Tuesday, Dec. 15 expressed divided opinions on the idea — with Brian Bezanson and Dan Salvucci supporting electronic voting, Scott Lambiase voicing objections and both Lisa Green and Chairman Carl Kowalski saying they need more information before forming an opinion. But, he added that he understands how a shy person can feel cowed by the number of people around them that may be voting differently. “I’m interested in hearing some more about the motivation for this,” he said. Varley opened the discussion with a report on how electronic voting works and opinions of officials in towns now using it. 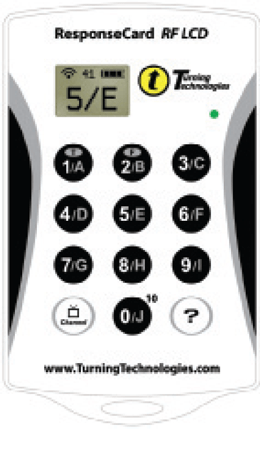 The small, remote control-type devises with numeric keypad on which a yes or no vote would be cast by punching number one or two. They can be leased or purchased with the town able to borrow extra from other towns if a huge Town Meeting turnout is seen. “I’ve pretty much given you all the information that I found out, and that’s what my job was,” Varley said. She did report that voice votes are generally inaccurate, standing counts are time-consuming and public votes can result in the potential for intimidation. Kowalski said, even though there have been contentious town meetings in the past, the current practice of voice and standing votes has worked for a number of years. “I don’t remember the really weird times,” he said. Another reason for considering electronic voting is the continuing effort to increase voter turnout. “Every Town Meeting, I’m fighting to get 150 people,” Varley said. “I think this might be it.” Lawn signs and reminders on census forms are also being considered. Bezanson said he, too, likes to think intimidation is not a big factor in low Town Meeting turnout. Salvucci also favors electronic voting, but expressed concern over its ease of use, especially for seniors. Seele discounted concern about intimidation, saying he has not received any complaints from voters about it. He called it “probably the largest conceptual issue” around electronic voting. While the police have a lot of supporters in town, he said the job doesn’t always make friends in performing their duties. Seele said he is also concerned about the nuts and bolts of how it would work, especially for the disabled and those uncomfortable with the technology. Lambiase, who works in Duxbury where electronic devices — but only on close votes — are used, said officials in that town calculated they only saved four minutes in an eight-hour town meeting. Green said the discussion toward making Town Meeting more efficient is a healthy one, but said more information is needed before any decision is made. IT Director Josh MacNeil said a lot depends on the company used and whether devices are leased or purchased, but agreed with Green that more information is needed. He said people genuinely feel intimidated in voting for contentious issues.